A new projection for power generation nationwide was yesterday put at 9000 Mega Watts (MW) effective first quarter of 2020. 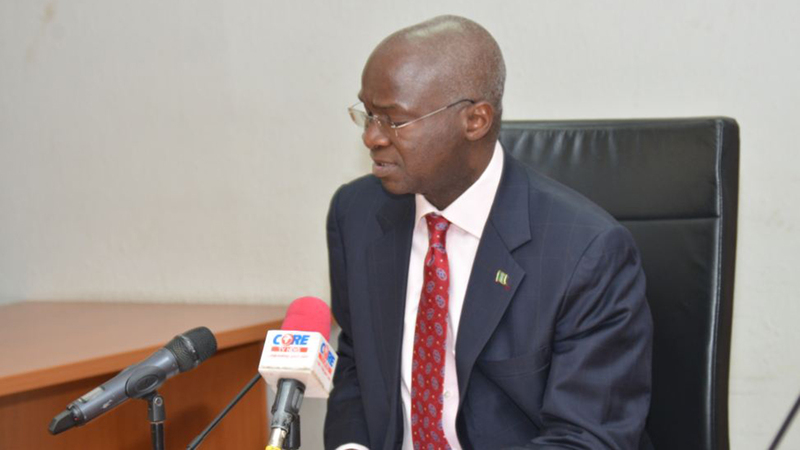 Minister of Works, Power and Housing, Babatunde Fashola, shared this optimism at the Nigeria-South Africa Chamber of Commerce meeting in Lagos, saying power generation had steadily rose by 1000MW average per year, since 2015 till date. Fashola, who was addressing businessmen, politicians and technocrats, scored the sector high in the last three years against the backdrop of current 7000MW with more prospects of additions to the grid ahead of the 2020 projection. He said though the challenges are still enormous, the task of achieving stable power supply nationwide is achievable with more hard work and support from stakeholders, especially the private sector. With the privilege of travelling nationwide to visit all the power plants in the country, the minister said progress of the power sector is best measured between where Nigeria was in 2015 and the current power generation, transmission and distribution indices. Today, according to Fashola, power generation has increased from 4000MW in 2015 to 7000MW and “that power is available as we are averaging 1000MW per year in incremental worth”. Transmission has also improved from 5000 to 7000MW, while distribution has peaked from 3000MW in 2015 to 5222MW as at January this year “and that is the highest amount of energy this country has distributed ever”. On the prospects for the future, Fashola said before the end of the year, another 945MW would be added to the grid. Currently, almost half of that (459MW) is ready from Azura. Afam IV also has 240MW ready, Kaduna 215MW and Kashimila in Taraba 40MW are all ready. He said further that by quarter one of 2020, Zungaru Hydo Power Plant would be able to add 700MW and Opai II will add 450MW, which is already 1150MW average increase per year. “This does not include the 700MW of installed but inoperative power plants due to inadequate gas or incomplete transmission lines. This also does not include nine Independent Power Projects (IPPs) in nine Federal Universities, which we planned to scale to 37. “We have done audit of the 37 but constrained by budget and decided to start with nine universities to show that it is possible. It also does not include 15 IPPs targeting major markets to power no fewer than 85000 shops. 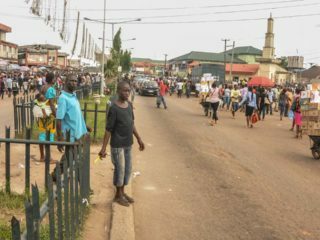 “They are in various stages and by the end of this month, the one at Sura market in Lagos should start to work. Hopefully, by the end of the year, we will finish the one in Ariaria market in Aba and ditto for Sabon Gari market. “By this numbers alone, we have moved the needle forward. So I see promise. Like I told those who asked me, if I ever thought that this power problem couldn’t be solved, I would have left it. It can be solved but not be proclamation, but by hard work. So, this is the essence of my promise in 2015, that with collective experience, it will get better. “How far we can go depends on all of us that will decide who forms the next government. In making that choice, now I speak well-meaning and right thinking people, you will have to compare the records of three years that I put before you and those of 16 years,” he said. In an interactive session Fashola clarified that the Power Ministry does not issue license, but plays the role of supervision and policy implementation. The National Bulk Electricity Trading Company (NBET) according to him plays a key role in the licensing process of the power sector. 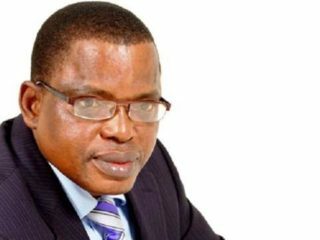 Chairman, Nigeria-South Africa Chamber of Commerce, Foluso Phillips, said though the projection and 1000MW average increment rate are good, but the system could do better, especially with right and clear economic policies of the government. Phillips said things are not really where they should be currently, with the mishmash of economic policies and politics confusing the business community. “We really need to focus on the economy more but I think a lot of that is not being done. It has been very discouraging for a lot of people. Sometimes the policies are very aggressive. We know that we have lost revenue from oil and the government needs to make amend. But a lot still bothers on the business environment than just Ease of Doing business would help. The attitude and body language and what the private sector perceive, taxation system are very important to attract private investors into critical sectors like power,” Phillips said.